Google Update On December 5, 2012? Home > Google News > Google Updates > Was There A Google Update A Few Days Ago? Was There A Google Update A Few Days Ago? 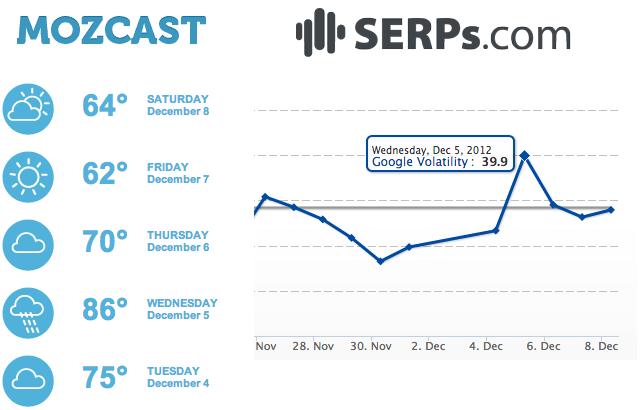 Both Mozcast and SERPS.com reported significant fluctuations on Wednesday, December 5th. I checked WebmasterWorld the following morning but it was temporarily offline and due to that, the discussion of a possible update was very low to none. So my normal gauge to see if there was an update was broken. Did you notice an update late last week? Should I ping Google asking them about this one? 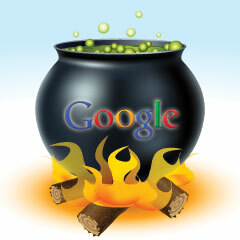 Previous story: Has Google Changed As A Company?